The St Jerome's Laneway Festival in Melbourne, also known as the Laneway or St. Jerome's Festival, is a music festival which began in Caledonian Lane in Melbourne in 2004. 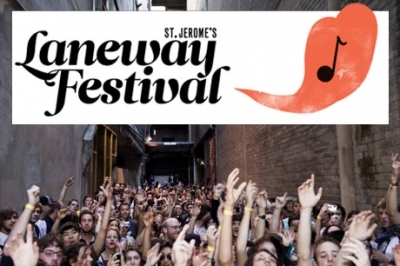 Originally emerging as an indie music event, the Laneway Festival has grown rapidly in popularity, receiving favourable reviews from various musical audiences. Such has been its success, that since its initial inception, the festival has now expanded to Sydney, Brisbane, Adelaide, Perth and Auckland as from 2010. The festival's organisers have always been interested in combining fresh and hip music and bringing it to unique settings and surrounds to be appreciated by music lovers. The size and locations of the festivals, as well as the community footprint, presents an urban music experience like no other. BookToday has a wide selection of accommodation options for the Melbourne St Jerome's Laneway Festival. Stay close to the action and be a part of this unique musical community event in Melbourne and the original of its kind. If you require further assistance with your accommodation selection, feel free to call 1300 733 274 and talk to one of our friendly customer service assistants.